Since it was for users on mobile devices can use the Facebook application for access to the social networking site, but also for communications with other users, but some surprise from Facebook's decision to force users to download Facebook Messenger application in order to continue to benefit from the messaging service on the site . 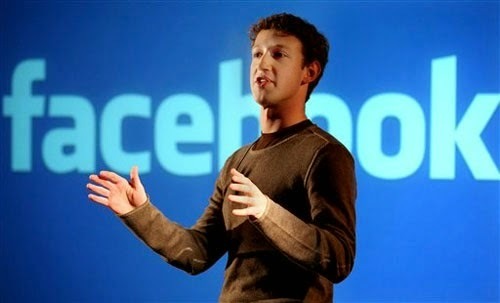 This decision, which has surprised some in the beginning to make the founder and CEO of social networking site Facebook (Mark Zuckerberg) break his silence in an attempt to explain the reason for the trend towards creating an application for instant messaging independently and separately from the application of the basic Facebook. According to Mark Zuckerberg, who was speaking in the context of the effectiveness of the particular, the reason for choosing the site for the establishment of a special application messaging Messaging Facebook Messenger was necessary in order better to the needs of users to respond by providing fast application and easy to use, and that Facebook wills to take advantage of the widespread use of multicast applications immediate and widespread among users of mobile devices, as 95 percent of them use them, and therefore the application of Facebook instant messaging came in the context of competition.